Though a Floridian by birth, you’d never know it if you met Mitch Levy today. You also wouldn’t realize that when he first moved to Seattle, he could barely find it on a map. Today, though, Mitch couldn’t see himself anywhere else. 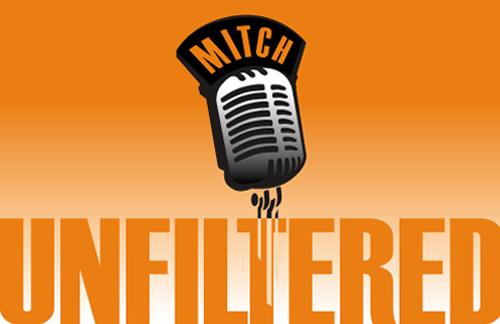 Thanks to a job offer to host his first radio show in 1995, Mitch made his way to the Pacific Northwest from Washington, D.C., and never looked back. He took a risk – one that paid off both by efficiently propelling his career and finding a new home to raise a family. The city of Seattle has something for everyone, from its stunning scenery, outdoor activities, the food and museums, and, of course, the sports culture. Despite living in the Pacific Northwest for the past 23 years, Mitch Levy remains blown away by his beautiful surroundings. There is literally something for everyone – from Mount Rainier to the 15 national parks to explore in Washington State. Each offers a host of fun activities such as hiking, boating, and fishing. The proximity to Asia, and the subsequent Asian influence, also produces a unique culture that Mitch believes separates Seattle from any other city in the United States. With the entire west state line reaching the Pacific Ocean, Mitch can enjoy fresh seafood at his leisure, which he considers a premier advantage. One can even see the fish you might be eating for dinner flying through the air at the Pike Place Market. The Space Needle remains a popular tourist destination, given its status as the city’s most familiar landmark. And catching a game at CenturyLink Stadium is a sports experience unlike any other. There’s a reason the Seahawks fans, known as the “12th Man”, have a reputation for being the best in America. Mostly, Mitch loves Seattle for sentimental reasons. It’s where he and his wife made their home. It’s where his two sons were born and raised. It’s where his professional life went from a longshot risk to a successful 23-year career. Seattle sports radio thrives because of the city’s singular passion for their local sports teams on both the college and professional levels. Mitch Levy no longer needs help finding Seattle on a map. Liked it? Take a second to support Mitch on Patreon! Mitch, it’s been a long and obviously painful 15 months for you and your family. You’ve been the topic of many prayers, thoughts, conversations and reminiscing… but podcast “0” made it seem like yesterday that i was listening to you on my morning commute; Ah, it’s sooo good! So glad you’re back Mitch. Love JHam also!! Can’t wait for you to slay the mic again!!!!!! !